A snack item for evening tea which children and elders also like them. In a bowl mix besan powder,rice flour,chilli powder,salt,jeera,haldhi,crushed curry leaves and corriander leaves,green chilli and ginger slits ,eating soda and chopped onion slices well.Mix them very nicely,so that the water in the onion pieces,the moisture in it will be absorbed by the flour.If required add a few ounces of water.But it needs very less water for onion pakodi when compared to other pakodis. 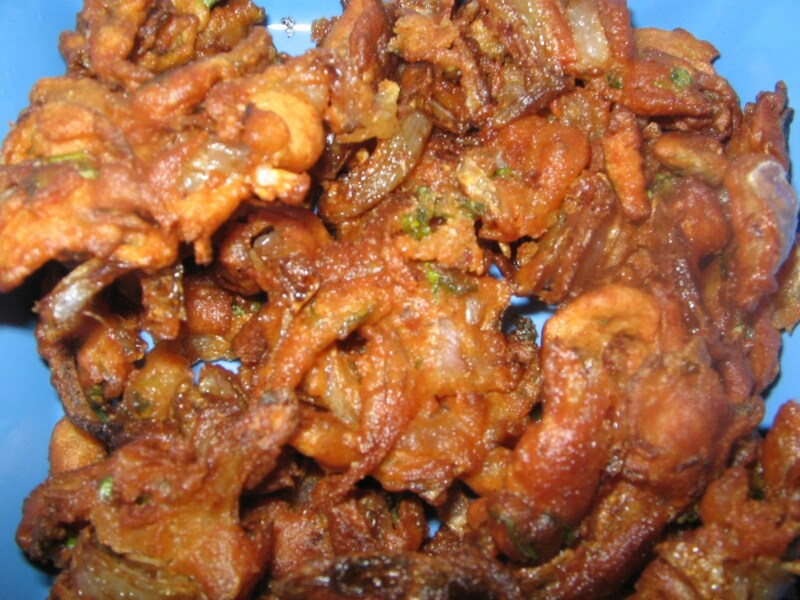 Place a kadai with oil for deep frying in medium heat ,after oil is heated, put the besan onion mixture in small quantites with your right hand, and place in the oil ,breaking them in to small lumps. 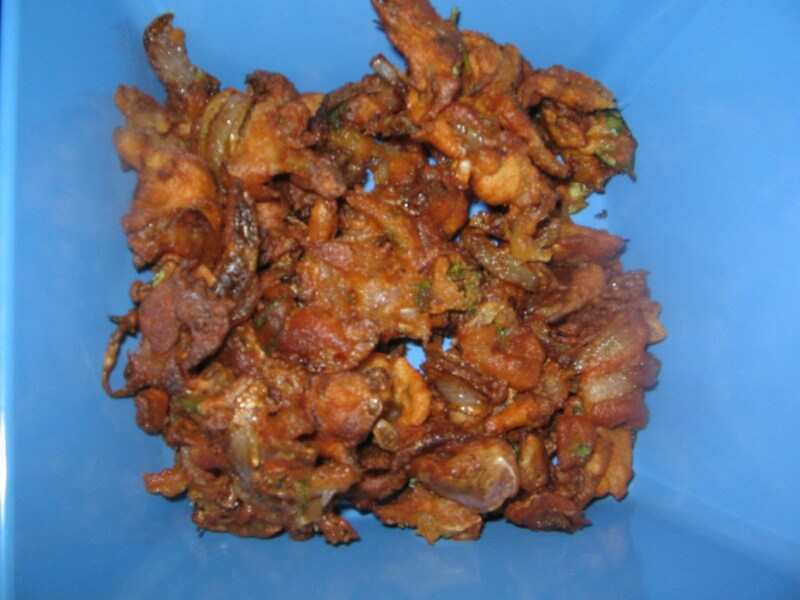 Fry them evenly in med heat till they are brown,and remove them from fire after they are fried. 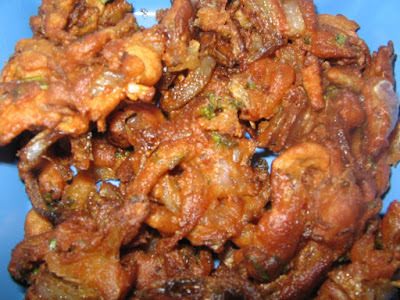 Onion ulli pakodis are ready.Best snack at tea time,very much ideal for wet evenings in rainy season. My mom used to prepare this along with evening coffees in rainy season. crunchy munchy snack! just need a cup of tea! Very yummy treat. Looks very crispy too.